Attorney Darryl W. Pruett has over 25 years of admirable legal experience. Since obtaining his law degree in 1992, he has helped countless clients resolve their problems efficiently, thoroughly, and with the utmost tact. 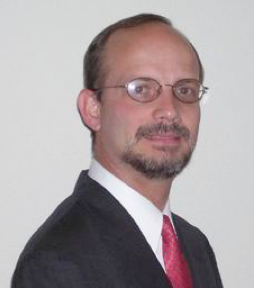 Mr. Pruett joined The Weichert Law Firm in 2010 as an attorney with a proven record of success. An experienced litigator and transactional attorney, he has concentrated on real estate and construction law since 1997. He previously served as a partner in a multi-city firm and spent years as of counsel to the Law Office of Xavier G. Medina, P.C., while continuing a solo practice in Austin, Texas. As of now, Mr. Pruett primarily serves clients in cases pertaining to commercial and residential real estate litigation, disputes arising from property transactions, construction defects, homeowners’ associations and condominium regimes, and general commercial litigation, including, but not limited to, breach of contract, fraudulent transfer, and other commercial disputes. Director, Legend Oaks Homeowners Association 2, Inc.
Darryl W. Pruett of The Weichert Law Firm serves Austin, Bee Cave, and Lakeway clients as a real estate law, business law, and estate planning attorney. Contact our office at (512) 263-2666 to schedule an initial consultation with an experienced Texas lawyer.